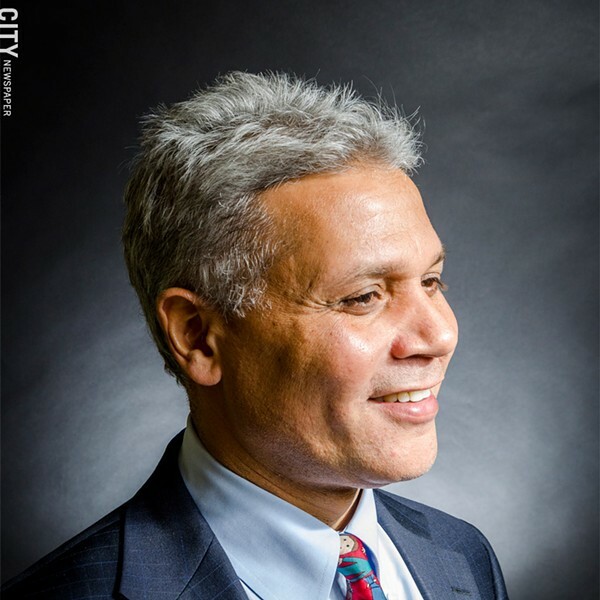 Rochester schools Superintendent Bolgen Vargas’s proposed $784 million budget for the 2014-2015 school year emphasizes year-long reading support, expanded learning in more schools, and full-day pre-kindergarten. Vargas told board members at a meeting last night that if they’re serious about improving student achievement, that his is the right strategy for getting there. gap mostly by reducing about 205 positions. About 79 will be teaching jobs, 15 administrative positions, and more than 100 support staff positions. But Vargas said he is not proposing significant layoffs, since the district has more than 200 vacancies and about 125 employees expected to retire. The reduction in staff, roughly 3.7 percent of the district’s work force, is a result of declining enrollment, Vargas said. He repeated his concern about what is now a clear trend of losing students to charter schools. About 4,200 former district students will be enrolled in local public charters next year, he said. Vargas is the first superintendent in recent memory to sound alarms about charter encroachment. He said that charters will subtract about $54 million from next year’s budget, and that it could reach $100 million in five years. “If enrollment continues to decline, once you reach 15 percent of the district’s population, it becomes more difficult to improve,” he said. That’s because the district will be left with fewer resources for students with the most academic needs, he said. While enrollment drives everything, the way to prevent further erosion of the student population is by improving student outcomes, Vargas said. And his budget invests in early education. To strengthen the pre-k program, Vargas proposed giving all students RTS bus passes so transportation won’t be hindrance to the programs. The budget adds expanded learning to five more schools – 300 additional hours of instruction time – and two schools would get an additional 200 hours of instruction time. Vargas proposed having at least one social worker in every school to address students’ social-emotional needs. He also plans to eliminate in-school suspension rooms in k-6 schools with fewer than 700 students. In-school suspension rooms would continue in larger schools. The proposed budget continues to reflect Vargas’s plan to redistribute resources to better provide amenities and extracurricular activities. Art, music, and physical education will receive a boost in funding, and Vargas said he wants to see a districtwide marching band. But the budget also comes with caveats: a reduction of $1.2 million for nursing, and a reconfiguration of space by converting Schools 2, 29, and 44 to k-6 buildings — saving about $2.4 million. Vargas also plans to limit cashing-out of vacation time to one week per year, and to reduce overtime and operating expenses. The proposed budget contains some assumptions about funding. For example, Vargas projected $3.5 million in additional funds from the state, though the state budget has not been approved. And he doesn’t anticipate increases in the costs for charter schools, which the district would have to cover. And the proposed budget is based on what Vargas has interpreted as the board’s top priorities. There’s not a lot of room for last-minute changes, and there was no mention of implementing recent recommendations solicited from the community for improving city schools. Vargas has also assumed that there will be no input from City Hall, which could present a last-minute problem if Mayor Lovely Warren requests changes based on her educational vision for the city. Vargas acknowledged last night that the budget doesn't meet all of what he says are the district's priorities. He would increase it immediately if he could, he said, but there are limits to what he can provide. The board will hold public hearings on the budget on Thursday, April 3, and Tuesday, April 22. Both meetings are at the district's central office, 131 West Broad Street, at 6 p.m. The board has to approve the budget in April and then give it to City Council for its approval. Update: Tuesday, March 25 at 10:40 a.m.
After reviewing the proposed budget, Dan DiClemente, president of the Board of Education Non-teaching Employees, said he's concerned that there will indeed be layoffs. In a phone interview earlier today, Clemente said that he believes about 40 BENTE employees will lose their jobs, and that he expects about 26 of them will be employees in clerical positions. DiClemente said that BENTE employees were already cut in last year's budget. And he questioned how the superintendent can stress improving customer service when he's reducing the number of employees who do the work.